The lower Crystal River, below the East Mesa diversion structure, in May 2014 . ASPEN – The Pitkin County Healthy Rivers and Streams Board unanimously agreed Thursday to approve a $45,000 grant to help the East Mesa Water Co. repair an irrigation ditch on the Crystal River as long as the ditch company agrees to talk with the county about ways to leave more water in the river. The condition was left broad, as there are no routine ways in Colorado to improve an irrigation system and then leave any saved water in a river despite the fact that 86 percent of the water diverted from Colorado’s rivers is for agriculture. On Friday, Dennis Davidson, a consultant helping East Mesa secure funding for the ditch-repair project, said the 12 shareholders in the ditch company would likely accept the county’s condition. After presenting to the river board Nov. 20, Marty Nieslanik, president of East Mesa Water Co., said, “I think all of us we want to see the river healthy, too. I mean, it’s not like we’re trying to hog all the water; it just takes water to do what we do. The East Mesa Ditch repair project includes shoring up a collapsing tunnel and installing 1,200 feet of new pipe. The project is still being engineered, and the projected cost is now $700,000. East Mesa has raised $410,000 for the project from state and federal sources so far. That does not include the river board’s $45,000 grant, which still must be approved by the Pitkin County commissioners, who are set to review it Jan. 6. The repairs to the ditch are not expected to result in more water for the river, but other improvements, such as piping or lining more sections, installing high-tech control gates and using sprinklers in fields, could likely save water. The 8.5-mile-long ditch irrigates 740 acres of land southeast of Carbondale. Of the 740 acres, 180 acres are under a conservation easement either through Pitkin County Open Space and Trails or the Aspen Valley Land Trust. East Mesa is the second-largest diversion on the Crystal River, which in summer can run well under the environmental minimum set by the state of 100 cubic feet per second. The ditch has two water rights that allow it divert as much as 42 cfs of water. One right is from 1902 and is for 32 cfs. The second is from 1952 and is for 10 cfs. Pitkin County’s river board, created in 2008, is funded with a 0.1 percent sales tax, which is expected to generate $850,000 in 2015. The board has budgeted $150,000 for grants next year. While the vote to award East Mesa the grant was unanimous, some board members questioned whether fixing an irrigation ditch was consistent with the board’s mission. But board member Bill Jochems supported the grant, saying it could increase support among irrigators for federal protection of the upper Crystal River. And board member Dave Nixa suggested that East Mesa talk to the nonprofit Colorado Water Trust, which works with water-rights owners to find ways to leave water in rivers. “There are a lot of good tools out there that could create informal and formal benefits,” said Amy Beatie, the executive director of the water trust, who was pleased Friday with the river board’s decision. 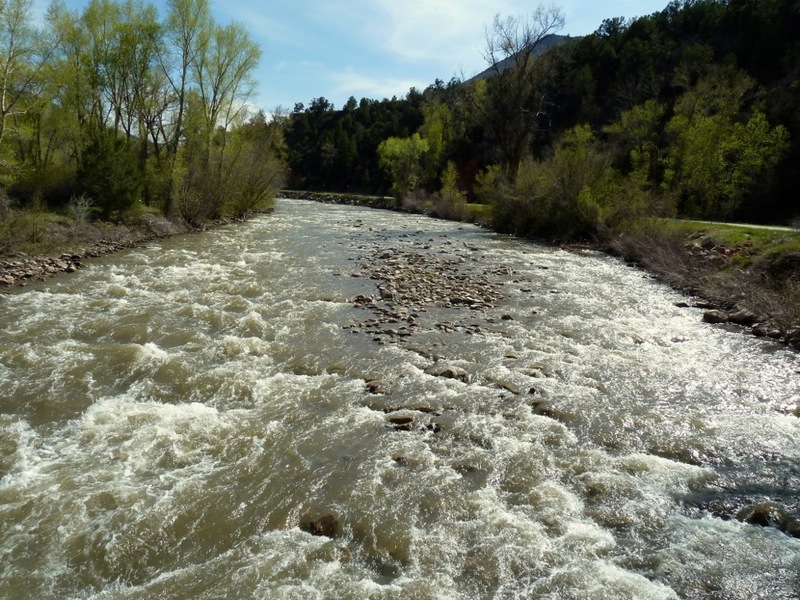 Rick Lofaro, the executive director of the Roaring Fork Conservancy, is working with irrigators in the Crystal River Valley as part of developing a management plan for the river. “The goodwill and the momentum this could create could really be precedent-setting,” Lofaro told the river board Thursday. Editor’s note: Aspen Journalism and The Aspen Times are collaborating on coverage of rivers and water. The Aspen Times published this story on Monday, Dec 15, 2014.